Welcome to Christmas Traditions Tree Farm! 2018 Season: Our opening day is Nov. 23, the Friday after Thanksgiving. We are open from 10 am to 5 pm on the following dates. Additional dates may occur but will be based on tree availability. We offer choose & cut White and Scotch Pines along with a variety of pre-cut Firs. **Please visit our Facebook Page (Christmas Traditions Tree Farm) for the most current updates including tree availability, varieties and prices. Christmas is a magical time of the year. A time when families come together to celebrate the holiday season. Childhood memories of family outings in search of that special tree last our whole lives. When you share that Christmas Tradition with your loved ones, it too will become a treasured memory that lasts a lifetime! 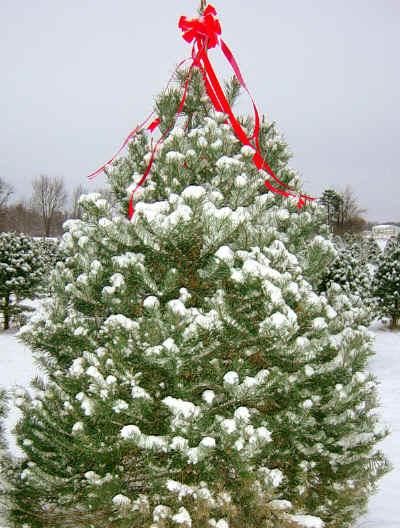 We invite you to create cherished memories with us at Christmas Traditions Tree Farm. Our choose & cut tree farm was established in 1996 and is family-owned and operated. We are located in Warren County, MO just 30-minutes west of St. Charles off Interstate 70 serving the greater St. Louis metropolitan area. We pride ourselves in offering value priced quality trees, wreaths, roping, swags, centerpieces, and other specialty items made from fresh cut greens. Visiting our farm is an affordable fun-filled family destination which includes a free hay ride to and from the field, where you and your family can select and cut your own tree, free visits with Santa (don’t forget your camera), free coloring sheets, free hot chocolate, free candy canes, and a Gift Shop filled with treasures and gifts for everyone on your list! For additional information click Visit Us. 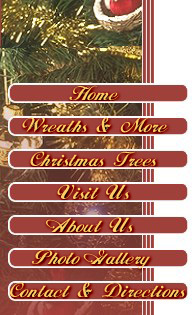 We would be glad to help you; simply contact us (636) 745-7488.
and the Captain Jack's Christmas Tree Farm Network. © 2002 - 2006 Christmas Traditions. All rights reserved.